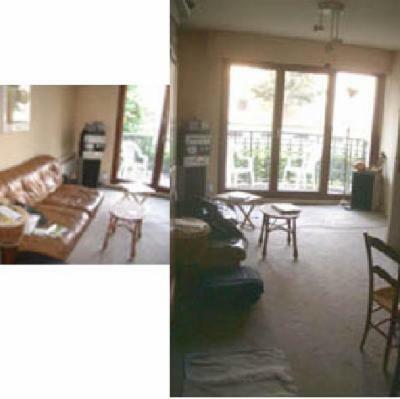 In elevator building, appartement second floor small (38m2) in chic neighborhood. Very quiet with balcony and bedroom window over looking on a private garden - no vis à vis. Completly furnished small kitchen. Batheroom with bath tub and washing machine. Bedroom with queen size bed - In the principal room, convertible futon for 2 additional people. Not television but stereo system with good sound.